The Hydro-Mix sensor offers a choice of measurement modes for optimising the sensor performance for sand, aggregates, concrete and other similar materials. 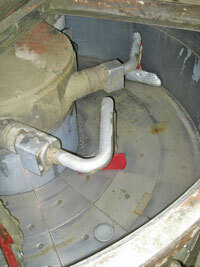 The sensor is designed to be fitted flush within a mixer, screw conveyor (auger) or in a chute. 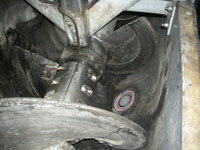 For conveyor belt applications, the Hydro-Mix sensor is installed using the Hydro-Skid pantograph arm enabling the sensor to ride over the surface of the flowing material. Remote configuration, calibration, diagnostics and firmware upgrades can easily be undertaken using Hydronix Hydro-Com software. This allows direct integration with any control system without the requirement of any other interface unit. Combined with on-board functionality such as signal processing, smoothing and averaging, the Hydro-Mix is simple to integrate.